Uri earned his BSc and PhD from the Hebrew University of Jerusalem. He is studying the cellular origins, functional consequences, and potential vulnerabilities of aneuploidy and chromosomal instability in cancer. Uri is co-mentored by Drs. Beroukhim and Todd Golub. Uri has visited 45 countries (airports not included). His goal is to visit 50 by the age of 40. He translated Latino American prose and poetry from Spanish to Hebrew (two published books). He got married in New Zealand. Ruben received his BSc in biology and biochemistry from the University of Valencia. 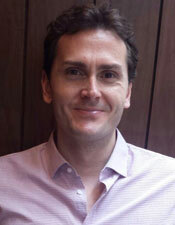 He obtained his MSc from the Spanish National Cancer Research Centre and PhD from the University of Valencia in Spain. 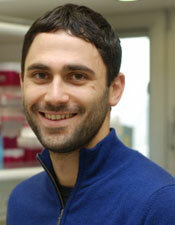 He is currently applying computational approaches to systematically identify genomic determinants of drug response. 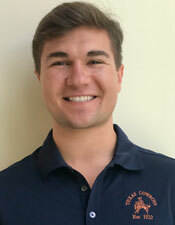 Zach studied biochemistry and molecular biology at Penn State (’06), and then pursued an MD/PhD at Duke University in Durham, North Carolina (’14). 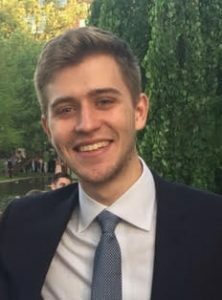 At Duke, Zach earned his PhD under the mentorship of Professor Hai Yan on research in the Tisch Brain Tumor Center revolving around gliomas and cancer-associated mutations in IDH1, TERT, PPM1D, ATRX, and several other very interesting genes. He is now specializing in radiation oncology as a resident in the Harvard Radiation Oncology Program (’19). In the Beroukhim Lab, Zach is studying PPM1D mutations as oncogenic drivers in DIPG. Fun fact: When he is not pipetting or fielding pages, Zach enjoys cycling, hiking, microbrewed beer, and Penn State and Philadelphia Eagles football. He likes spending time with his fiancée Denise and their two cats, Wink and Arya. Cecile earned a PhD in biochemistry at the Tufts University School of Medicine, where she studied mechanisms of viral transformation. Prior to her PhD, Cecile was a staff scientist at Genzyme Corporation where her work focused on cancer dependencies and early drug discovery. 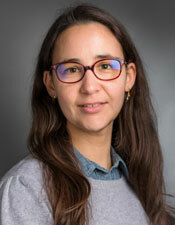 Cecile currently studies the oncogenic mechanism of MYB-QKI fusions and MYBL1 truncations in pediatric low-grade glioma. Favorite quote: “Healthcare must be recognized as a right, not a privilege.” –Bernie Sanders. Ofer studies the mechanisms and selective processes that shape the landscape of somatic genomic rearrangements in cancer. He develops statistical and machine-learning models for large whole-genome sequencing datasets to identify genomic alterations that lead to the development and progression of cancer. 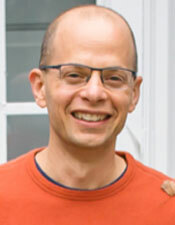 Ofer received his PhD from the Electrical Engineering and Computer Science department at MIT, where he was later appointed as a research scientist studying the interaction of light with matter at the nanoscale. Prasidda received his BA in biology and biochemistry from Carleton College in Northfield, Minn., before joining the BBS PhD program at Harvard University in 2016. He is currently studying the role of PPM1D mutations in the pathogenesis of Diffuse Intrinsic Pontine Glioma (DIPG), mechanisms of therapeutic resistance in Glioblastoma Multiforme (GBM), and characterization of the role of TERC in human malignancies. Jeff majored in chemistry and math at Williams College. 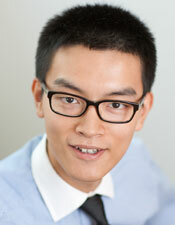 He is now a student in the MD–PhD program at Harvard and the MD program at Health Sciences and Technology. Jeff is studying the genomic correlates of melanoma response to immunotherapy and the use of new sequencing technologies to find alterations in cancer genomes. Fun fact: Jeff measures the temperature of just about anything he cooks. Caitlin received her BS in molecular biology with a minor in editing from Brigham Young University. While at BYU, she worked in the lab of Laura Bridgewater, PhD, where she studied the function of a novel nuclear variant of BMP2 (nBMP2) in skeletal muscle, as well as the role of the unfolded protein response (UPR) in mouse models of osteoarthritis. 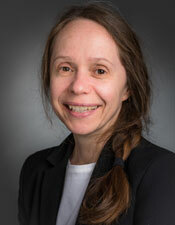 She also worked in the lab of Steven Graves, PhD, studying the ability of a novel proteomic approach to identify differences between complex biological tissues, including normal and preeclamptic human placenta. Caitlin’s work in the Beroukhim Lab focuses on identifying and validating a novel class of cancer vulnerabilities caused by loss of heterozygosity (LOH) of cell-essential genes. She also studies the role of TERC amplification in cellular immortalization/transformation. Coyin received her BS in biological engineering from MIT. Currently a medical student in the HST program at Harvard Medical School, she is working on a computational pipeline that infers copy-number alterations in cancer genomes. Fun facts: Coyin is from Malaysia(!) and is very passionate about food. 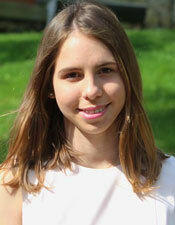 Melanie is a cytogeneticist and visiting PhD student from Paris. She completed her postdoctoral medical training in neuropathology (Sainte-Anne Hospital, Paris, France). 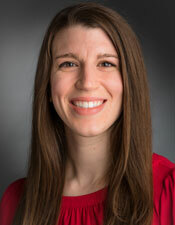 Melanie’s research interests include translational neuropathology and genomics of brain tumors. In the Beroukhim Lab, Melanie is studying genomic drivers of pediatric low-grade gliomas, in addition to developing technologies that include methods to detect cell-free DNA in blood samples obtained from children with brain tumors and DNA-barcoding to identify combination therapies. 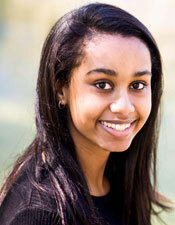 Yohanna is an undergraduate student at Tufts University. She is currently studying PPM1D as a therapeutic target for DIPG. 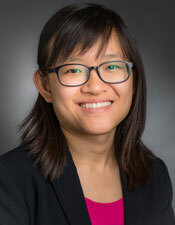 She is specifically interested in the effects of a truncating mutation in PPM1D as a contributor to cellular resistance to treatment, and in determining if this mutation in PPM1D is oncogenic in DIPG. Fun fact: Beyoncé and Yohanna share a birthday. 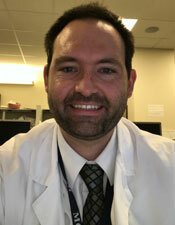 Andrew is a group leader in the Cancer Program at the Broad Institute of MIT. 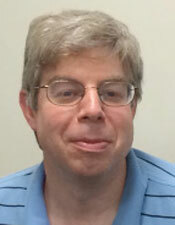 He led the Broad Institute’s effort to analyze somatic DNA copy-number alterations for The Cancer Genome Atlas (TCGA). Now, Andrew and Rameen Beroukhim are co-principal investigators of the Broad Institute’s copy-number Genome Data Analysis Center for the National Cancer Institute’s Genomic Data Analysis Network (GDAN). Andrew holds a PhD in molecular genetics from Ohio State University and a BA in biology from the University of Pennsylvania. Ashton received a BS in physics and a BS in biology from The University of Texas at Austin. During his senior year, he conducted independent research simulating transcriptional kinetics at the Institute for Computational Engineering and Science, under the supervision of Dr. William Press. 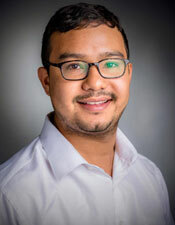 He currently works with Dr. Andrew Cherniack and Dr. Rameen Beroukhim at the Broad Institute developing software workflows for processing high-throughput screening data from tumors and analyzing somatic copy-number mutation profiles. Fun fact: In his free time, Ashton enjoys going hiking with his dog, Mama. Eli majored in molecular and cell biology at the University of Pennsylvania and is originally from Miami, Fla. She aspires to be a physician scientist and join the efforts to discover better treatments for rare pediatric cancers. As a research assistant in the Bandopadhayay and Beroukhim Labs, Eli is studying new therapeutic strategies for pediatric brain tumors. She is also interested in science diplomacy, particularly collaborations on cancer research between the US and Cuba. Fun facts: Eli loves to snorkel, and her favorite animal is a yellowtail damselfish. John received his BS from Boston College, where he majored in biology and was a member of the van Opijnen Lab. In the Beroukhim Lab, John’s main research focus is on the role of MYB-QKI fusions as drivers of angiocentric gliomas, a subtype of pediatric low-grade gliomas. John is also involved in research addressing the presence of clustered deletions near the BRD4 promoter and how this influences BRD4 expression in various cancer types.